It has been confirmed during the recent European Nintendo Direct that the Wii classics Pandora's Tower and Sin and Punishment: Successor of the Skies will be coming to the Wii U eShop in Europe on the 16th and 30th April respectively. Both games will be subject to a 25 percent discount during their first week on sale. 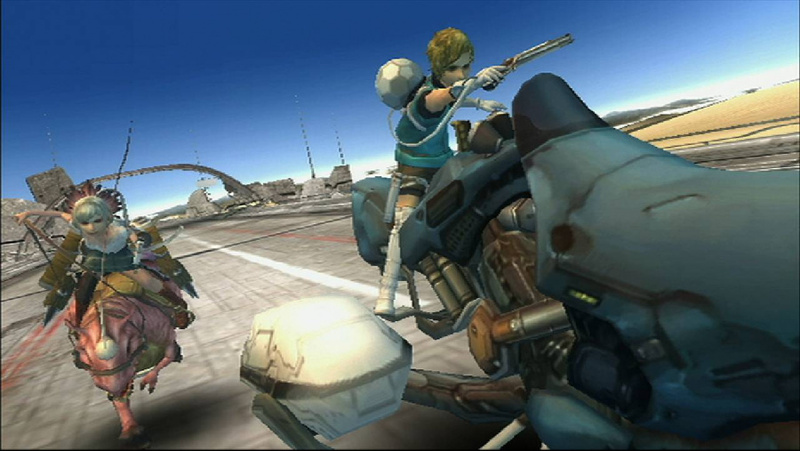 Pandora's Tower is a JRPG which we awarded 7/10 when it launched at the end of the Wii's lifespan, back in 2012. Sin and Punishment - from legendary Japanese codehouse Treasure - fared better, netting a 9/10 review in 2010. Which one will you be downloading? Will you be getting both, or neither? Sound off in the comments to tell us. I own disc versions of both, the LE of Pandora's Tower too. Well worth picking up, I really liked Pandora's Tower. 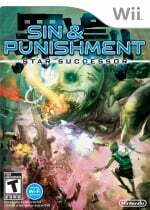 Already own Sin and Punishment in disc form but if they would bring Pandora's Tower over to the states I would likely pick it up. May as well bring The Last Story and Kirby: Return to Dreamland over here while they are at it! Both since they are discounted. I'm glad I held on buying them on GameStop last year. Never played pandora's tower. Sin and punishment was a big letdown for me. I like the arcadey feel of bayonetta 2 much better. If little king's story ever makes it, I'm replaying that one again. Not sure about pandora's tower when looking at all my rpg needs being met with xenoblade later on. I didn't really like either of these 2.I tried to get into Pandora's Tower after finishing Xenoblade but think I gave up after a couple of hours.Sin and Punishment was alright but I enjoyed the original on VC a lot more which seems crazy but it's true. Cool, I have PT but I hope Sin & Punishment comes to NA. I hope NA decides to release these as well. So, question... Is Europe also getting DS/N64 games over the next several weeks in addition to these Wii games? 20€*.75 is too much to pay for digital copies games I already have on physical discs. Pass. @timp29 : It has recently been issued a classification, so yes, it will be released in Australia as well. So when are we North Americans getting this? @JaxonH Mario 64 and Donkey Kong 64, WarioWare Touched and Mario Kart DS released last night post-direct in Europe. Paper Mario and one other I can't recall coming soon. Star Successor is one of the best games from last generation. It's true. And given Treasure's output, it's certain to be among my most cherished in the distant future. @triforcepower73 We'll be getting it in the late summer to fall if NoA follows the same pattern it has. We still have yet to get Kirby and Donkey Kong for the Wii. Already got them both, they're both must buys for people who missed out on them the first time though. A shame that the leaderboards for Sin & Punishment 2 died alongside the old Nintendo Wi Fi Connection service, there were some crazy scores on there. I want Pandora's Tower to come to the Americas so bad. Not that I'll complain with my Super Mario 64 and Donkey Kong 64 this month, but still. As for Sin and Punishment, classic question: does it suport Classic Controller, or is it wiimote-only? @ricklongo It does actually support the Classic Controller.....It honestly plays really well with the Wiimote though, can't imagine being able to aim around the screen anywhere near as quickly and accurately with the Classic Controller once things on screen get really busy. Not sure if this means that Nintendo will bother to incorporate the Classic Controller controls into the Wii U gamepad. Hopefully they will. @ToxieDogg All downloadable Wii games that support the Classic Controller will work with the gamepad just fine. @Dpishere Same here, except I already have Kirby's Return to Dream Land. Now we might get a couple of N64 and NDS games, but I doubt it will end up being anything remotely comprehensive, esp. considering the WiiU might not have that much time left anyways. I have the disks of both of these (Pandoras Tower is not even opened). So I won't get them. (Probably would at the Metroid Prime Trilogy / DKCR price). I played Sin and Punishment but had to seel it to get my wii u nad never played Pandoras Tower. I would think since they already released these over in NA they would re-release them on Eshop as well. 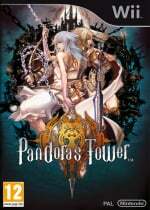 If you are interested in unique JRPGs, definitely check out Pandora's Tower. It isn't perfect, but the motion-based combat is very satisfying, and the soundtrack (which consists mostly of new versions of classical pieces) is phenomenal. The half off early adopter reward needs to apply to all Wii titles. Really aids in the impulse buy. Sin and Punishment 2 is great. I haven't played Pandora's Tower yet, so this interests me.